Why would you do that? Can’t you just buy them at a local store? Are you saving your seeds? Photo by Kathy Jentz. Green Spring Gardens and Washington Gardener Magazine are co-hosting the 8th Annual Washington Gardener Magazine Seed Exchange on Saturday, February 2, 2013 at Green Spring Gardens. So why go to all this trouble? Actually, it’s not trouble for the lover of gardening. It’s part of the process that leads to gardening’s rewards. The first reason to collect seeds is thriftiness. No need for anything in your garden to go to waste. Compost, recycle, and re-use. The second reason is frugality. Why buy new plants every year when you can grow your own for free? Even further, why buy unproven plants or seeds when you know the plants from which you are collecting did well and obviously flourished in your yard. 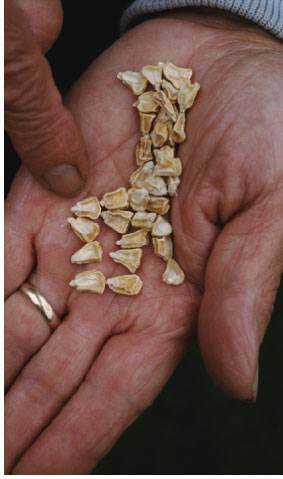 Another reason to collect seeds is to ensure the propagation of heirloom varieties and rare, native plants that are not available through other means. Commercial growers and catalogs often only carry the most popular plants and seeds. By collecting seeds from particular flowers and edibles you safeguard the future of these species. You are guaranteeing genetic diversity. The final reason to collect seeds is to trade them. That’s what the seed swap at Green Spring Gardens is all about. You may have hundreds of cleome seeds, and another gardener has hundreds of poppy seeds. Why not trade with each other? You are getting new plants for free or close to it. Autumn is the time to start collecting your seeds. Many flowers are setting seed-heads and are about to burst open. Catch some of them before they burst, and you’ve got a head start on your garden for the next year. Seed collecting is easy. Wait until the end of the growing season when your current flowers form seedpods. Check them every few days. They are ready when the pods are dry, brittle, and just ready to open. Don’t wait too long or they’ll break open on their own and cast their seeds to the wind. Pick a day with little breeze and no rain. Go out in mid-morning after the sun has dried the dewdrops from the leaves. Put a piece of paper under the seed heads, and then shake them gently. Be sure the seeds are thoroughly dry before you put them in tightly closed jars or zipper-locked baggies. Label them right away and store them in a cool, dark and dry place. That labeling step is important. Label them with the date and variety. Be specific. Next spring you’ll be glad you did, as many seeds look alike. The date is important, because you will want to use your seeds within a year or two. A side note on seed collecting: not all plants can be propagated from seed. Many plants that you buy are hybrids or sterile. If you have hybrid flowers and vegetables, they may produce seeds; however the seeds may not produce offspring that are true to the parent plants. In other words, the seeds from hybrids are often a different variety than the plant you originally purchased, and their quality is often inferior. A simple way to start is to collect seeds from common annual flowers that open-pollinate: zinnias, marigolds, forget-me-nots, four-o-clocks, cosmos, cleome and sunflowers. As your gardening skills grow, move on to perennials and biennials. And swap the extras. Swap your seeds! Photo by Kathy Jentz. 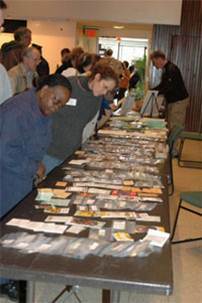 The 8th Annual Washington Gardener Magazine Seed Exchange is Saturday, February 2 at Green Spring Gardens. The seed swap runs from 12:30 p.m. to 4 p.m. and includes lectures, planting tips, door prizes, and a goody bag. The cost for the entire program is $15. There is a $5 discount for members of the Friends of Green Spring and Washington Gardener magazine subscribers. Call 703-642-5173 to register for the program. Attendees do not have to bring seeds in order to attend the program. Author Kathy Jentz is the editor of Washington Gardener Magazine. She is currently saving seeds from her hollyhocks, which came to her garden from her grandmother’s seed collecting. Co-author David Ochs is the manager of Stewardship Communications for the Park Authority. His colorful home garden is one of the finest displays in Northern Virginia of gardening mistakes. 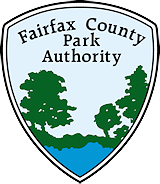 This entry was posted in Uncategorized on January 25, 2013 by Fairfax County Park Authority.